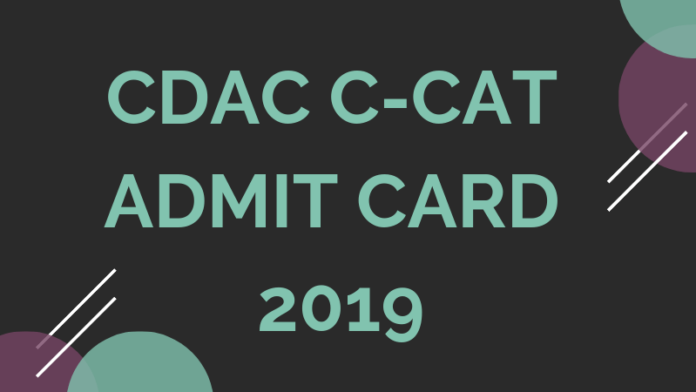 CDAC C-CAT Admit Card 2019 will be available on the official website. The candidates can download CDAC Admit Card from this page. 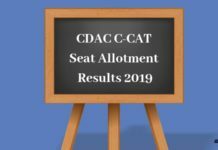 Candidate should download the admit card for CDAC C CAT 2019 before the last date. To download it, candidates need to visit the official website at cdac.in, and log in by entering details such as Form Number and Password. 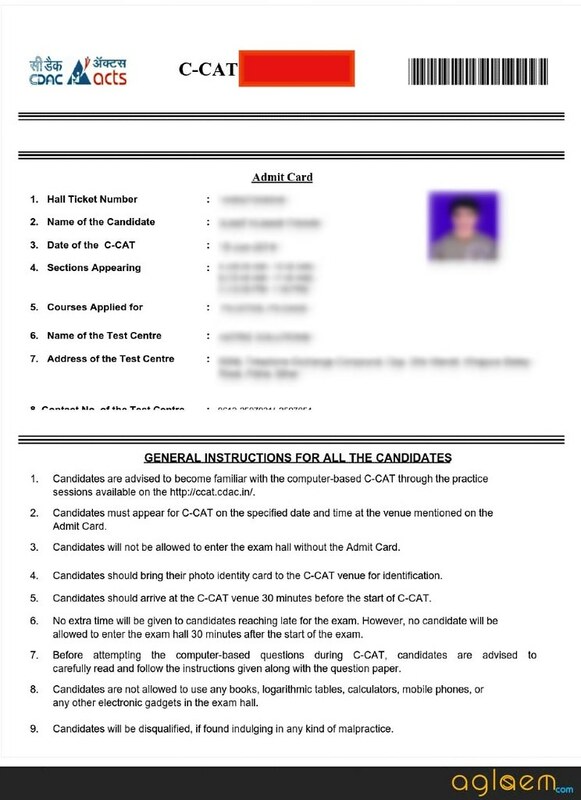 The CDAC C CAT 2019 Admit Card consists of personal details of the candidate as well as basic information about the exam such as date, timings, the address of the test center, etc. It is advised to the candidates to check that the details printed on the CDAC Admit Card and if there is an error, contact the concerned authorities regarding this. 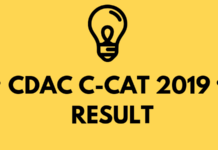 Check the complete details about the CDAC C-CAT 2019 Admit Card from this page. The exam is being conducted by the Center for Development of Advanced Computing to shortlist candidates for admission in PG Diploma courses for the August Admission. The exam is conducted two times a year. The candidates can check the complete schedule for CDAC C-CAT 2019 Admit Card from the table below. Download Admit Card: Candidate can download the CDAC Admit Card 2019 from the official website: www.cdac.in. The CDAC C-CAT 2019 is going to be conducted in two phases. The candidates can check the complete schedule for the CDAC C_CAT 2019 from the table below. How to Download CDAC Admit Card 2019? Keeping in mind the convenience of candidates, CDAC has adopted a fairly simple method to download your hall tickets. Follow the simple steps given below to download and print the admit cards. Click on the direct link which has been given on this page to download the CDAC CCAT Admit Card. On clicking the direct link, the candidates will be redirected to the login page, in which the candidates need to enter details such as Form Number, Password, etc. On submitting the login credentials, a new page will appear on the screen. Now, click on the “Print Admit Card” button. On clicking the relevant link, the admit card for CDAC CCAT will appear on the screen. Finally, take a printout of the displayed the admit card. 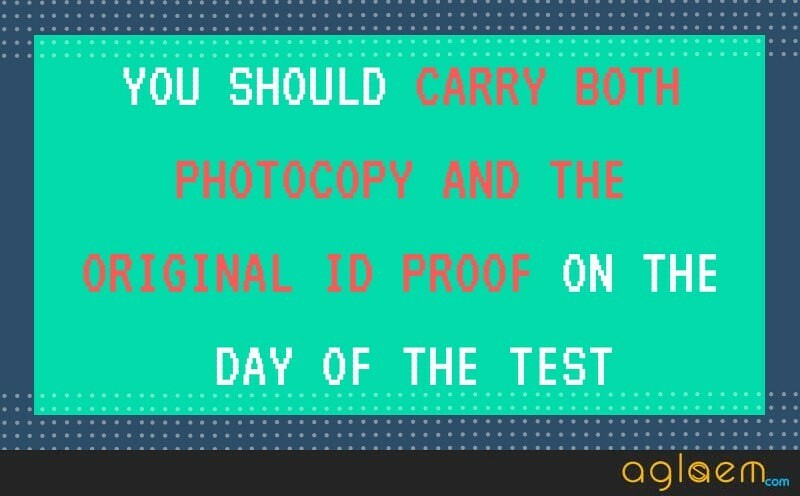 Carry the printout to the examination center on the day of examination. What Documents to Carry to the Test Center for CDAC CCAT 2019? A valid ID proof such as Aadhaar Card, PAN Card, Driver’s License, Voter ID card, etc. If you have any question about the CDAC C-CAT 2019 Admit Card, then let us know in the comment section below. At my profile there is no. Print admit card option ..plz help ….my exam on 1july .. I have completed all process ..